Late Availability for stays between 11th May - 1st June 2019! Reduced from £515 to £412 per week. 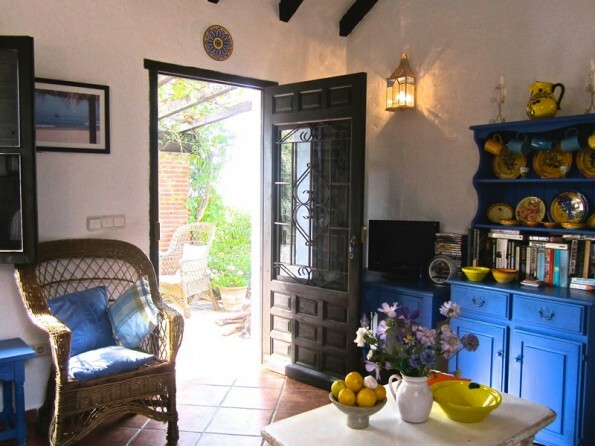 Cosy Cottage for two, close to the pool and with spectacular Mediterranean and mountain sunset views! 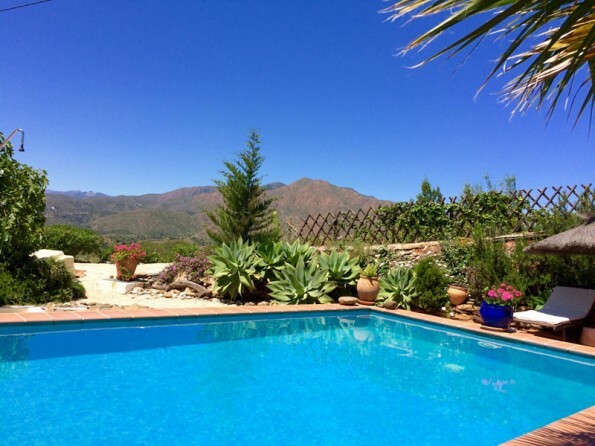 40mins from Malaga airport. 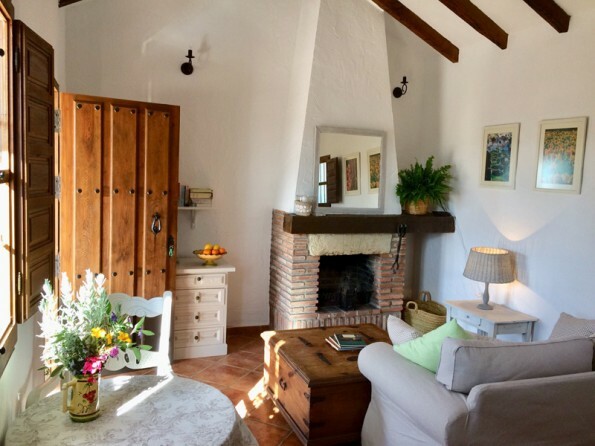 A pair of gloriously romantic little cottages tucked away in the hills near the white walled village of Mijas in Andalucia, Spain. The perfect getaway for couples wanting a romantic holiday, or friends and family who want to rent both cottages together. Shared pool and panoramic views. Enjoy lazy days round the pool with a good book, surrounded by the beautiful and peaceful Mediterranean garden with its mountain backdrop. The garden is planted with hibiscus, jasmine, giant cacti and terracotta pots bursting with vibrantly coloured geraniums…..and only the sound of the cicadas in the heat of the day. 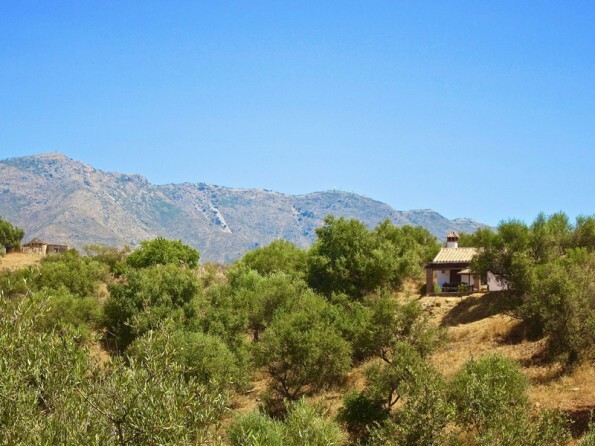 The cottages are situated 40 metres apart from one another and both have uninterrupted panoramic mountain views and amazing sunsets. 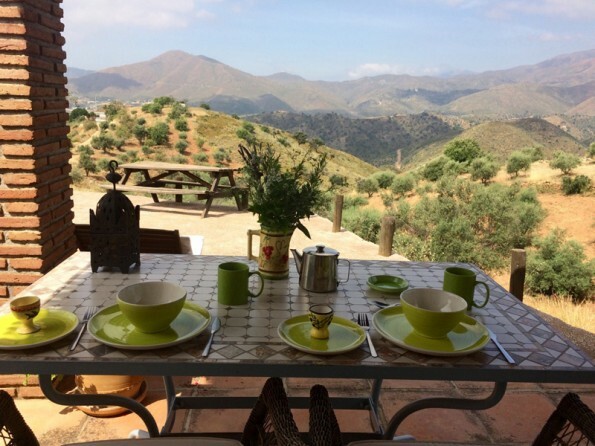 The cottages are only 40 minutes from Malaga and are well located for day trips to the Alhambra at Granada, a visit to the wonderful cities of Seville or Ronda - all on empty, scenic roads. hile the surrounding countryside offers total tranquility, local tapas bars, restaurants, shops and beaches are just 10-15 minutes drive. The smart cosmopolitan restaurants of Marbella, Puerto Banus and Mijas are only a 25 – 35 minute journey by car – or just spend a peaceful evening on the patio dining “al fresco” whilst watching the sun sink slowly behind the mountains! Each cottage has one bedroom and can sleep two people. 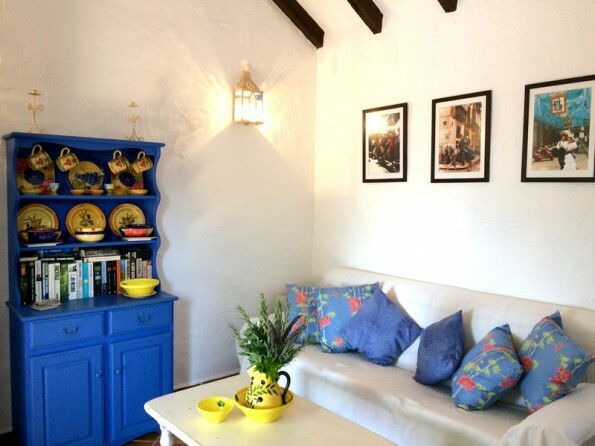 Casa Limones is close to the pool garden and has mediterranean and mountain views. 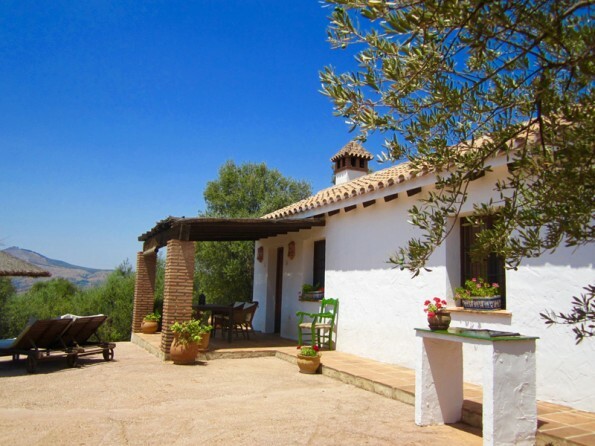 Los Olivos is set in an olive grove with views across the wooded hills to the mountains beyond. 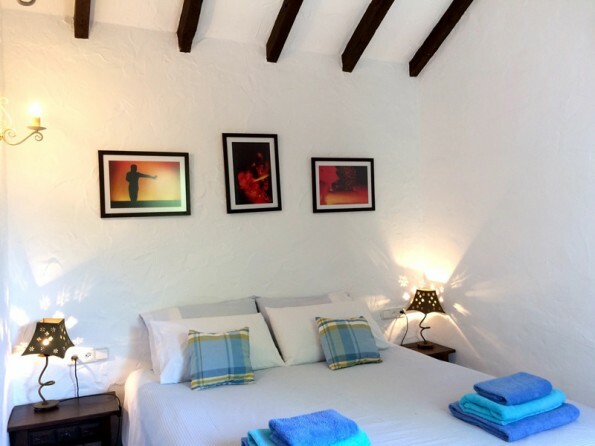 The cottages are newly built in a typical Andalusian style, and each has a romantic bedroom with king sized bed, an open plan kitchen / living room / diner and a separate bathroom with shower. The kitchen is well equipped with fridge freezer, gas hob, kettle, toaster etc. Each cottage also has air con, free wifi, ipod dock and a TV with integrated DVD player (with a library of DVDs) but no TV reception. 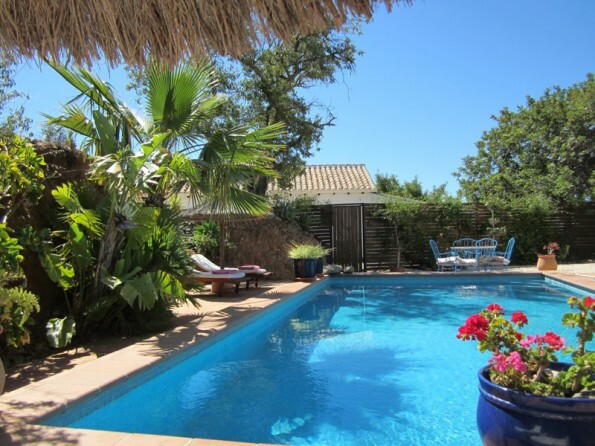 The 8m x 4m swimming pool (1m - 1.5m deep) is shared between the two cottages. The pool garden has a sunbed area. 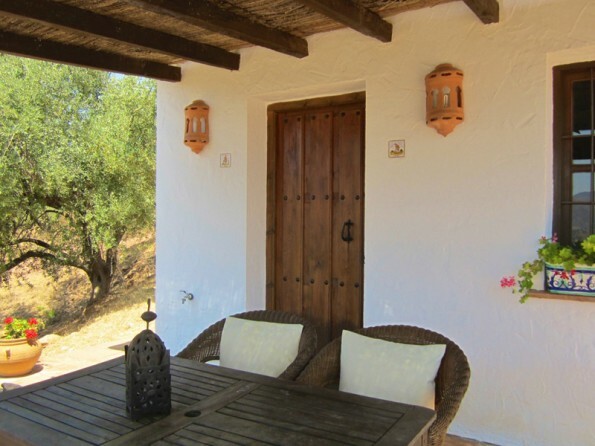 Each cottage also has its own patio with BBQ, table and chairs. 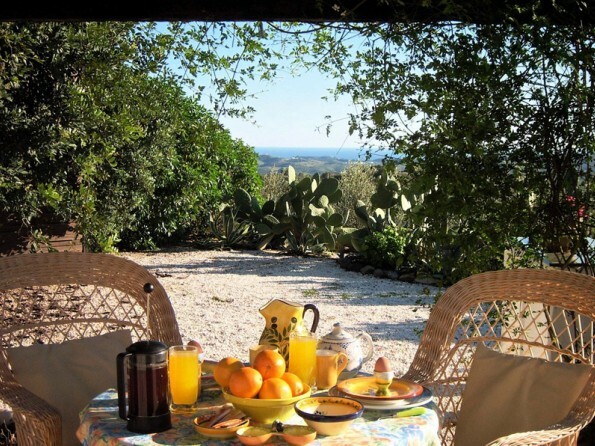 Casa Limones has two dining terraces - one shaded with Mediterranean views and one sunny with mountain views. 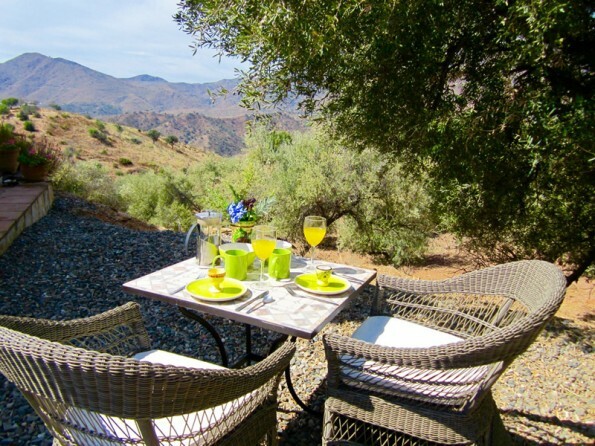 Los Olivos has a large terrace with breathtaking mountain views. Arrival and departure days are flexible. Not recommended for children.